These savvy buyers see both an investment opportunity and/or a second home to live in for part of the year. 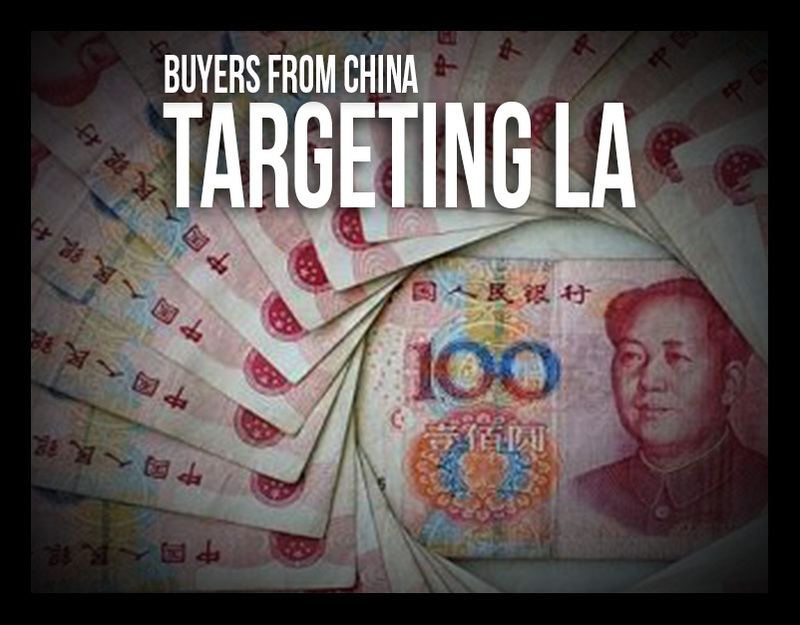 Chinese buyers are purchasing both residential and commercial properties. Due to the mania of the Chinese real-estate market in China, these people,no longer see the numbers there making sense. They have seen the American real-estate market bottom out and want to get in, on a 'ground floor' opportunity. Many want to immigrate to the U.S. and Southern California, is a very desirable place due to the weather and just as important, the good schools. Education is very important to the Chinese culture and many of the top universities are in the Southland. There are four distinct types of Chinese buyers. Firstly, the buyer who has no immediate intention of living in the U.S.,but rather sees the residential market for an income opportunity as a rental property. Due to the foreclosure crisis and the high prices(by American standards) to own a home in Southern California,there is no shortage of tenants. While the investor is earning monthly income on the house as a rental, they're also seeing property appreciation. Since most Chinese investors are all cash buyers, the return on investment is far superior to any yield they would get in the money market,due to very low interest rates. The second type of buyer that was referred to earlier,I call a hybrid buyer. They occupy the property for part of the year for a variety of reasons,such as starting a business here,sending their children to school or for lifestyle reasons. The third type of Chinese buyer is purchasing commercial real-estate These type of properties are office buildings,shopping centers, industrial buildings and apartment buildings, All of these properties provide a good return on equity compared with other types of investment. Due to the much higher prices of commercial real-estate,these are not typically all cash transactions, but their typically large down payment is sufficient to earn a yield in the high single digits. The fourth type of buyer is a land buyer. This is basically a buy and hold investment in real-estate,with potential huge appreciation,but there is no income until the land is developed. In the commercial real estate sector, you have both wealthy individual investors and Chinese institutional investors. Chinese buyers are not restricting their buying power to just Southern California, they are also active in San Francisco, New York, Seattle, Boston, Chicago, Dallas and Houston, just to name a few. They have always liked the Canadian cities of Toronto and Vancouver, as well. But for the factors mentioned earlier, Southern California is preferred and in addition the Los Angeles region is seen as a Pacific Rim area.